Please note: I have no relationships with Citi besides having a Citi credit card. I do not receive any compensation from Citi for writing this post. There are no affiliate links to this card on my website. 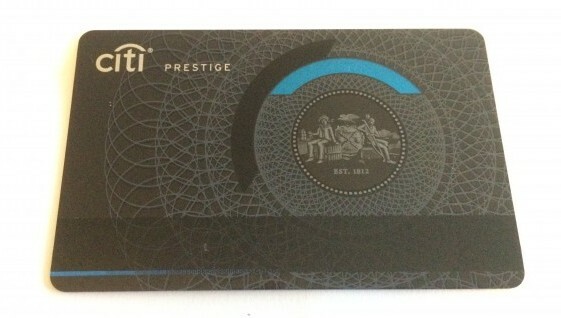 Design: The Prestige Card has to be the most annoying credit card for use in a physical location. To be fair, it is a beautiful looking card. However, the magnetic stripe is in the completely opposite location of other credit cards. I would say that 90% of the time when I hand the card to the cashier to swipe, they get it wrong. I am now in the habit of explaining to the cashier each time that the magnetic stripe is on the bottom front of the card. It is a pain and function should come before form when it comes to a tool like a credit card. Cost: The Citi Prestige card is also expensive. $450 a year plus $50 for each additional authorized user. However, that cost comes with a lot of benefits. Airport Lounge Access: With the Prestige Card you get “Select” membership with Priority Pass. Priority Pass does not own and operate any airport lounges. Instead, they are a program that you can subscribe to (or get with a credit card) that allows you access to certain lounges. The complete list of lounges is always being updated (here is a PDF of lounges as of June 2015), but do NOT include United Club, Delta Sky Club or Admirals Club. However, with the Prestige Card you also get Admirals Club access (note: this is different than membership). This means that when you fly American Airlines, you can use the Admirals Club. If you are flying Delta, for example, you cannot. 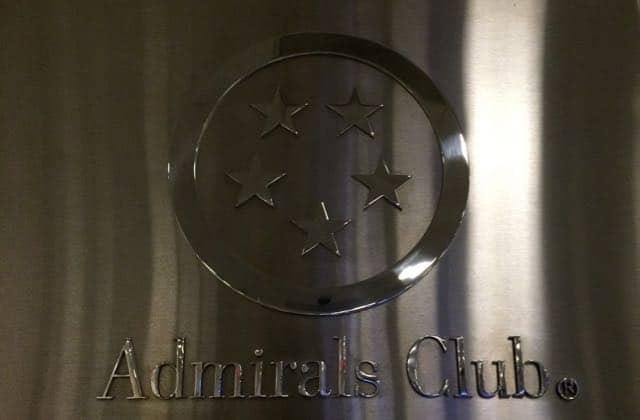 If you decide to pay $50 to add an authorized user, that person also receives the Priority Pass membership but does NOT receive Admirals Club access. With both cards you can get in family members or up to two guests. Global Entry Membership Fee: Another benefit is that Citi will reimburse your $100 Global Entry application fee OR $85 TSA Pre √ application fee. I would suggest the Global Entry as it comes with TSA Pre √ but also allows you the ability to speed through US Customs. You can read about my experience with applying to Global Entry here. For both of these options you pay with your Prestige Card and then Citi automatically refunds you the cost. Sign Up Bonus: After your meeting the $3,000 minimum spend in the first three months, you receive 50,000 ThankYou points. You can transfer these points to Hilton (1,000 TY points = 1,500 HHonor Points) or to various (non-US based) airlines at a 1:1 ratio. You can also use the points to buy gift cards (50,000 TY points = $500) or other merchandise/experiences. The best deal, however, is to use the points to purchase a ticket on American Airlines, where your 50,000 TY points gets you $800 in flight credit. If you use your points on other airlines you would get $665 in flight credit. Airline Credit: Each calendar year you have the credit card you receive up to $250 reimbursement for airline charges. So if you book a $400 flight with your card, you are automatically refunded $250 of that cost. Note that this is per calendar year, so if you apply for the Prestige Card in, say, July, you would actually get two $250 credits the first year of having the card ($250 for the current year, another $250 come January 1). 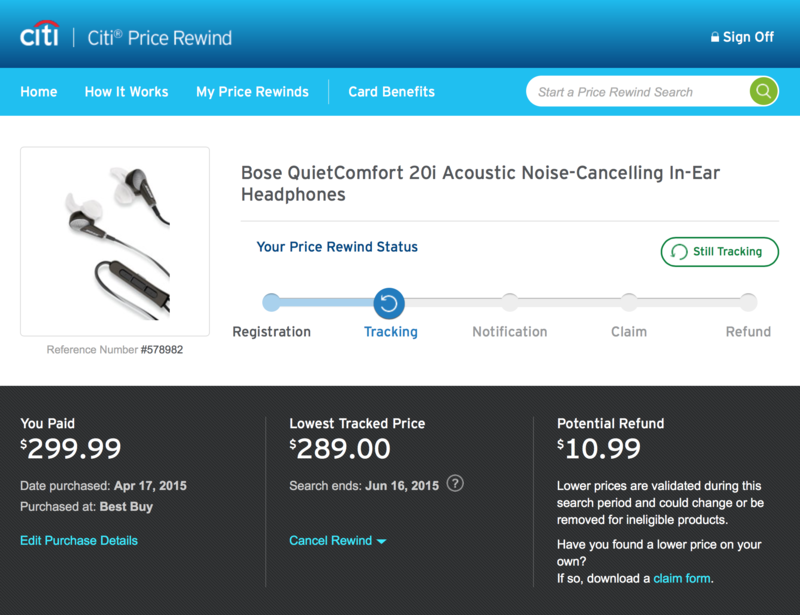 Citi Price Rewind: One of my favorite benefits of using the card is the ability to use the Citi Price Rewind. You can read more about it here, but basically if you purchase merchandise and the price drops within 60 days of your purchase (at any retailer), you are reimbursed the difference. So if you buy an iPad from the Apple Store for $599 and Best Buy has it on sale for $499, you will get $100 credited back to your account by Citi if you registered your product. Currently the Citi Prestige Card is my favorite credit card. If they change the card design, they will have an absolutely great product. 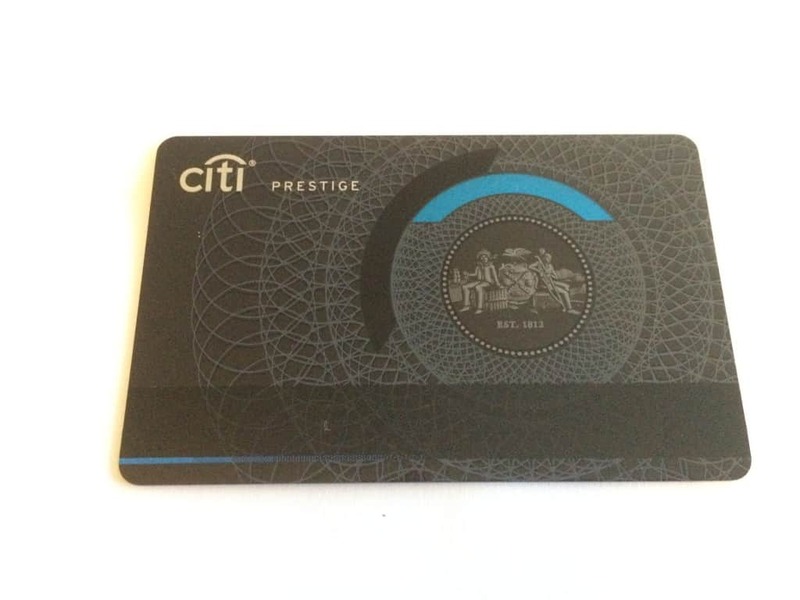 The Citi Prestige Card lounge access is nearly worth the cost of the card alone. The other, lesser known benefits are also fantastic. A reminder that I do not receive any compensation from Citi and this opinion is completely my own. IMO the Prestige is one of the best travel cards out there. I ultimately settled on the AAdvantage Exec because of the Admirals Club membership vs. access issue that you mentioned. Nice blog you have going. I’ll be checking in on your posts. I really like the Prestige (and I do not get any payment for people signing up, just my opinion). The other card I am considering is the Amex Platinum card, but I can’t justify it and the Prestige card right now. Thanks for reading and your compliment. It means a lot! The Prestige is a great card, and plan on rotating it on an every 2 year time frame with the TY Premier. I currently have the Amex Business Platinum that I got with a 150K MR point signup bonus. Yes, the annual fee is $450, but keep in mind that you can get $400 of that back with airline gift cards. For example, if you open the card now and cancel next year before the yearly anniversary, you can get the $200 airline credit twice. I’m assuming that you already have Global Entry from the Prestige. You can also get the signup bonus on Amex business cards again, unlike the personal cards. As long as you have not had the card in the previous 12 months, you can receive the bonus again. I definitely see the value in the Amex Platinum and will get one if I cancel my Prestige or if an amazing sign up bonus comes up. I do have Global Entry through Prestige. I do not have a business so I don’t qualify for the Business Platinum. I know some people who say they have a business to get the card, but I’m not sure how I feel about doing that myself. Set up your blog as a business. Amex asks for business spending, net business income and personal income. They are very lenient with approvals. If you can spend $20K in 3 months, the 150K Business Platinum offer is hard to beat. I know someone with 2 100K Business Platinum offer codes and if they are still available, I could probably get you the code. I’d have to check what the spending requirements are. If you decide you want it, let me know ASAP and we’ll figure out how to exchange the information. I’m tempted, but $20k in 3 months is a lot for me. Most of my MS is on iPads, and I don’t think that will be lucrative the next 6 months or so with new iPads coming out. I appreciate the offer though! while the prestige card is good to keep, I still use CSP as my main travel card. The reason: all teh protection benefits. Citi is lousy compared to chase in theory (T&Cs) in practice. the only thing i will use prestige for is the entertainment category.